We’re here for you at your hardest time. Let our experienced team fight to get you the best possible outcome and restore your future. Our goal is to help take the guess work out of hiring an attorney by providing top quality representation year after year. State of Florida vs. J.R.M. State of Florida vs. O.A. State of Florida vs. J.E.C. State of Florida vs. N.P.B. State of Florida vs. C.P. State of Florida vs. R.M. State of Florida vs. S.C.M. State of Florida vs. L.D.R. State of Florida vs. F.S.H. State of Florida vs. V.A.S. Whether it was a one-time mistake, a repeat violation, or something in between, we believe that your record shouldn’t define you. 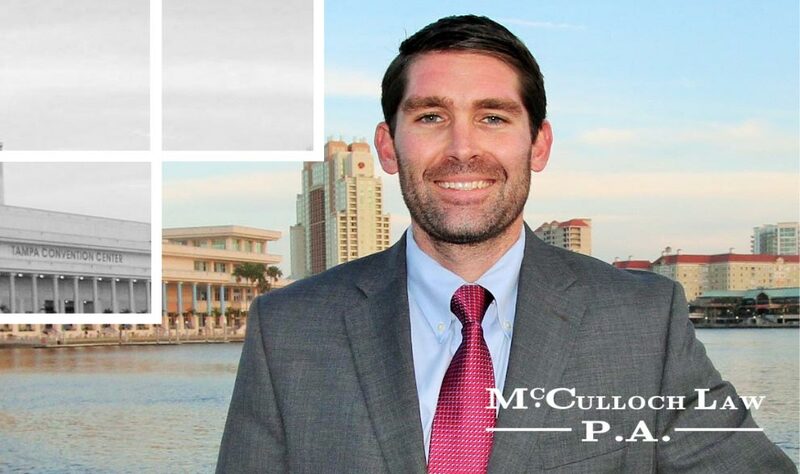 Our Criminal Justice and Personal Injury Attorney and legal team at McCulloch Law P.A. in Tampa FL strive to guide you through the legal process in a comprehensive manner to get your life back on track as soon as possible. The most complicated of cases require our extreme dedication and careful planning. A split second on the road doesn’t need to derail your entire livelihood. You’re human. We get that and defend you like one to the best of our ability. You have rights. Trust us to treat you the way you deserve to be treated. Contacting our Criminal Justice and Personal Injury Attorney at McCulloch Law P.A. in Tampa FL could be the best step you take to a fair trial and optimal results. So, don’t wait another second. Our mission is to provide every client with the highest-quality Criminal Justice and Personal Injury Attorney representation in Tampa, FL. Our client satisfaction is rooted in taking a limited number of cases at any given time, ensuring the clearest lines of communication and prioritizing our clients to the degree they deserve. 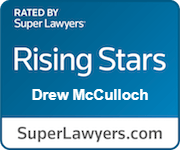 Drew is extremely personable, persistent, resilient and reliable. I have never had to speak with no one but him directly at all hours, day or night on his personal cellphone. He has been handling a very unique high conflict family case for me. It&apos;s a highly unique case involving severe mental illness on my behalf. He has never judged or given up on me. He has truly spent the time to listen to my special mental disability and has pushed a very compassionate yet aggressive approach to fight on my behalf. Absolutely highly recommended. Micheal McCullough was the best lawyer I&apos;ve had hands down, and I&apos;ve had a few. Even from the beginning of my case, it was easy to tell he was going to be better then other lawyers I have dealt with. He always made plenty of time for me, making sure I understood everything fully and that I had any and all information I needed or wanted. It was also very clear he was interested in the best possible outcome for me, and not just the quick plea deal. In the end, he got me a felony dropped to a misdemeanor with one day time served. Which all things considered was amazing and I didn&apos;t think would have been even possible. I will use this lawyer every time, let&apos;s hope that&apos;s not necessary. At any rate, if you need a competent lawyer who&apos;s willing to go the extra mile and spend the time you deserve on your case. he is your man. I have had the opportunity to co-counsel multiple cases with Mr. McCulloch. Not only are his legal skills top-notch, but his care and concern for his clients are unmatched. He diligently returns phone calls and maintains communication with his clients throughout the entire legal process. I would highly recommend Mr. McCulloch to anyone looking for an attorney. Drew is very professional and acts intentionally. He provides realistic expectations and follows through on his responsibilities. Recently we hired Drew for a case dealing with both a state criminal defense case, as well as some issues with the Department of Health. Through Drew, I was able to achieve best case scenario, and a significantly reduced sentence compared to similar offenders. I fully recommend and endorse Drew, he&apos;s a class act. LEGAL NOTICE The Hiring Of A Criminal Justice and Personal Injury Attorney Is An Important Decision That Should Not Be Based Solely Upon Advertisements. Before You Decide, Ask Us To Send You Free Written Information About Our Qualifications And Experience. This Web Site Is Designed For General Information Only. The Information Presented At This Site Should Not Be Construed To Be Formal Legal Advice Nor The Formation Of A Lawyer/Client Relationship.